I am looking at a indoor car cover for a 997 turbo . Has any one got any recommendations . A Carrera one won't fit a Turbo. I have one from specialised covers and it is really good. I'd second this. I've had three covers from them and they have all been excellent. Fully custom made to pretty much any specification you want. I have the proper Porsche indoor cover for my Turbo, very tight fit but great quality. Not really. It's bum will look big in one ! 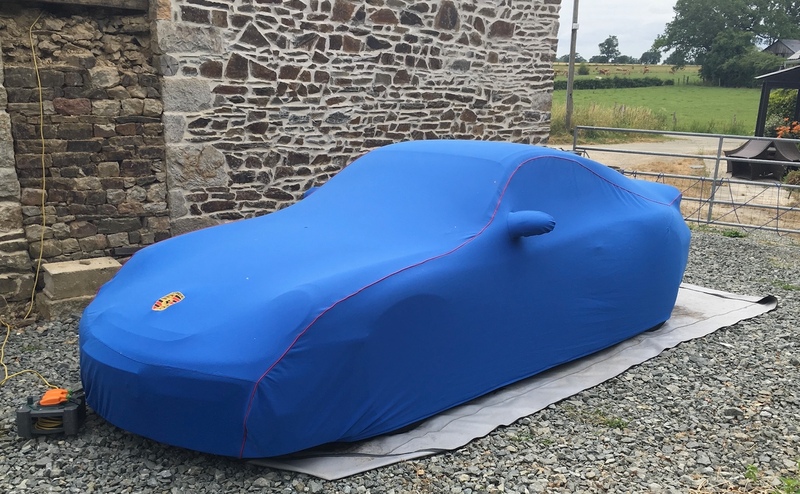 I have used a Carrera cover as I still had it from my last car. But only over 80% of the turbo as the rear spoiler makes it a stretch too far. Ok, what's the protocol on colour? Match the car, contrast the car or matching car covers in a three car garage?